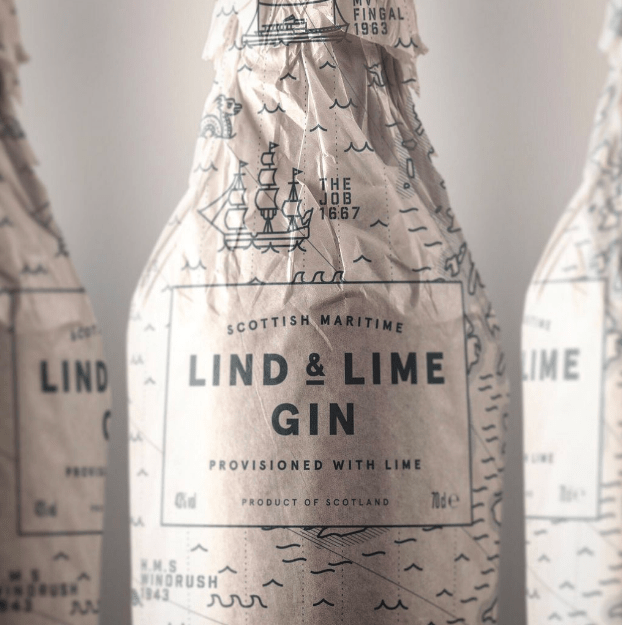 Expected to be up and running by October 2020, Port of Leith Distillery have released two products this week: their Lind & Lime Gin and an oloroso Sherry sourced from Bodegas Baron in Cadiz, Andalucia in Spain. Founders Patrick Fletcher and Ian Stirling (pictured below) grew up together in Edinburgh and both became “a bit obsessed with whisky” as they say, before starting to experiment with elements of production and the initial idea to develop and build a whisky distillery in their home town. 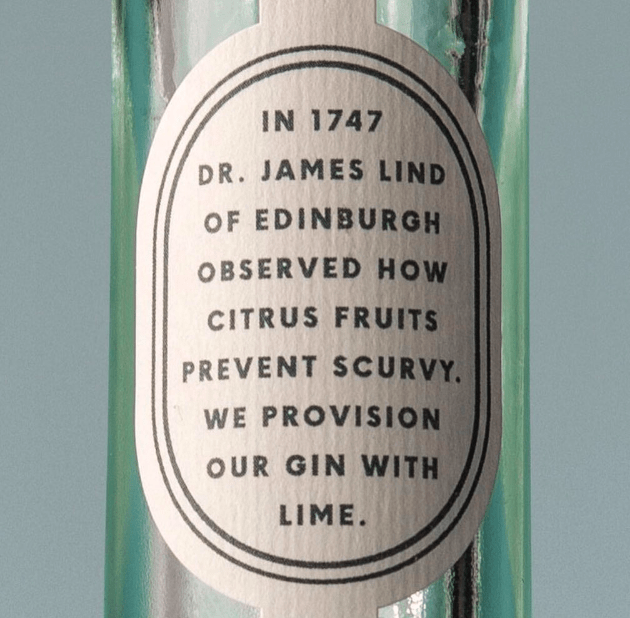 For an interview/ discussion with them by The Whisky Lady – click here. 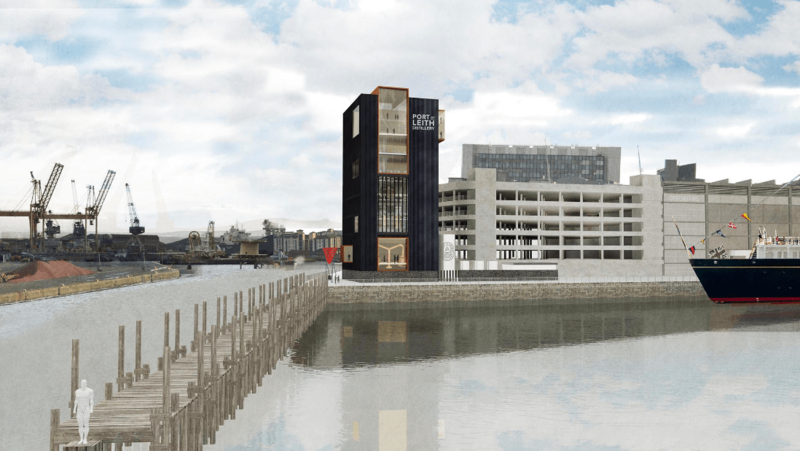 The childhood friends have now secured planning permission and financial backing to build the distillery, described as Scotland’s “first vertical distillery”, due in part to the tiny plot of land secured which required an innovative approach (pictured below). 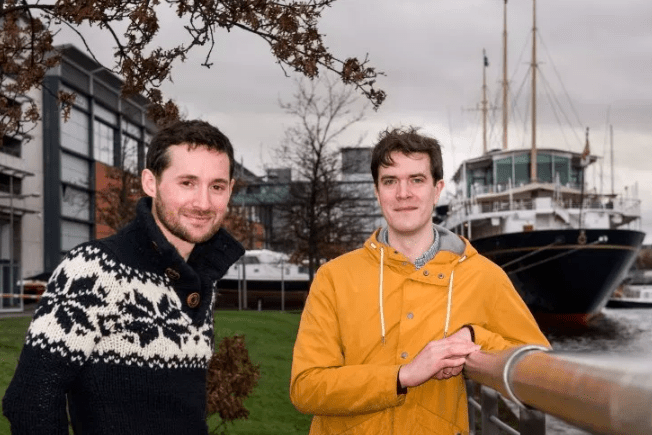 Until the main distillery site is built and ready, the two friends have established a secondary site around the corner in Leith. 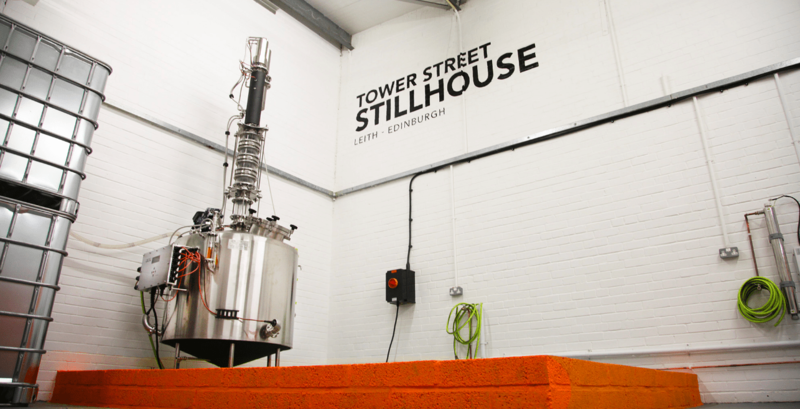 The Tower Street Stillhouse (pictured below) is now the home of their Lind & Lime gin production and oloroso sherry distribution. 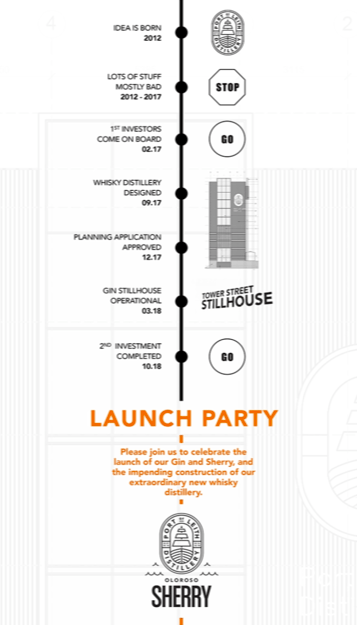 Next in their programme will be the addition of a pilot copper pot still to allow them to undertake their whisky research programme. They are exploring a 2-year research and development programme funded by Innovate UK, and conducted in partnership with Heriot-Watt University’s International Centre for Brewing and Distilling, on the significance and complexity of fermentation and the role of yeasts, led by Victoria Muir-Taylor. A key process in whisky making that forges the flavours that are ultimately extracted by distillation. 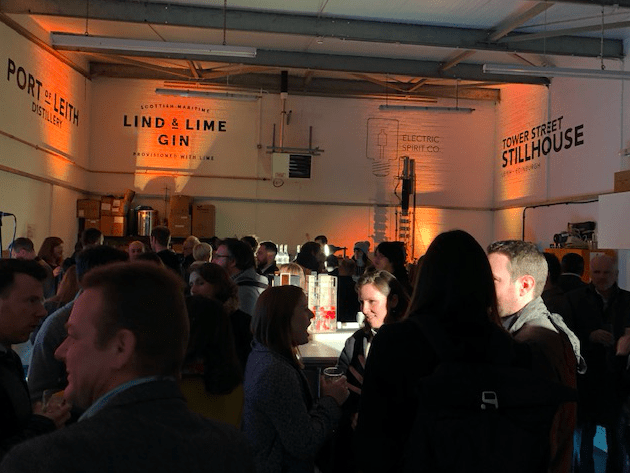 The launch party event held this week (pictured above) at the Tower Street Stillhouse was full with plenty of interest from those attending on the new gin and sherry products, including a few people from the world of whisky such as Justine from Kask Whisky and co-director of the Fife Whisky Festival, whisky blogger Angie and Mark from Jolly Toper Whisky Tastings amongst others. 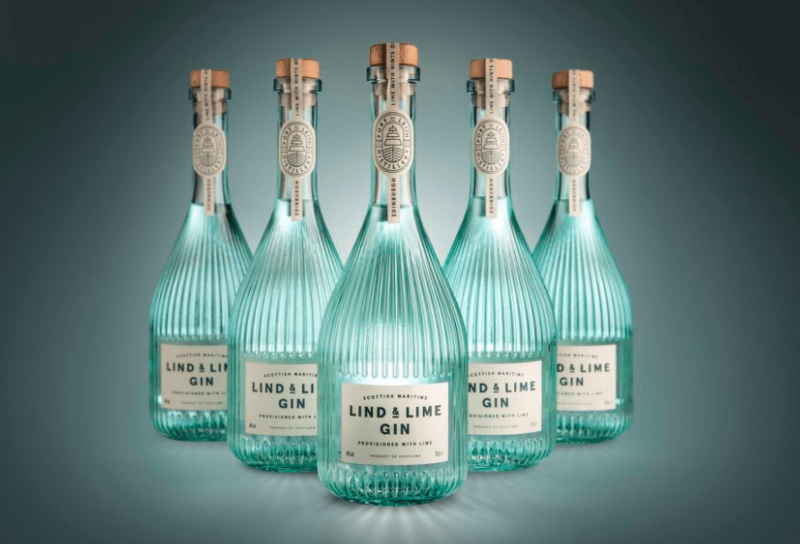 The packaging and in particular the bottle of the new Lind & Lime Gin is just stunning. 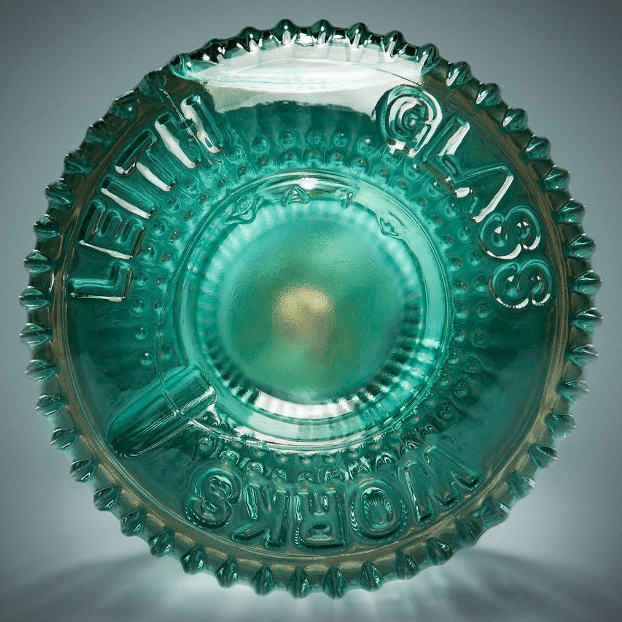 Created by Vetroelite and with real stand out, it also pays tribute to the Leith Glass Works which used to operate in the area. 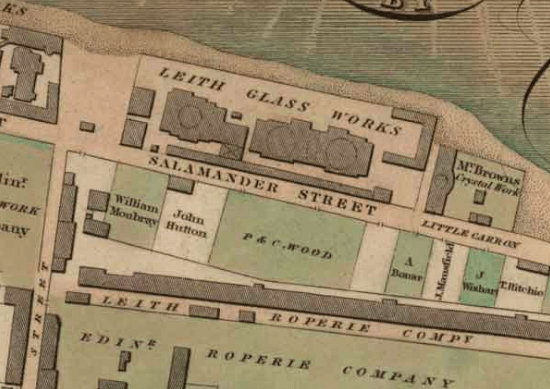 Leith specialised in wine bottles, largely for export to France and Spain and dated back originally from 1746. 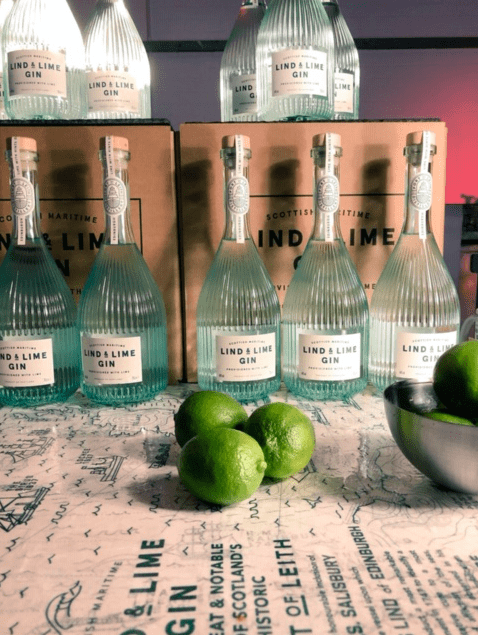 The three main botanicals for Lind & Lime Gin are Juniper, Lime and Pink Peppercorn and the Gin Distiller is James Porteous, who also launched the Electric Spirit Co. Named after Edinburgh’s Dr. James Lind, a hero of the Scottish Enlightenment, who observed that citrus fruits prevented scurvy in the world’s first recorded clinical trial, Lind & Lime Gin is produced using seven botanicals in total to create a product with real ‘balance’, it is bottled at 44% abv and carries an RRP of £35 per 700ml. 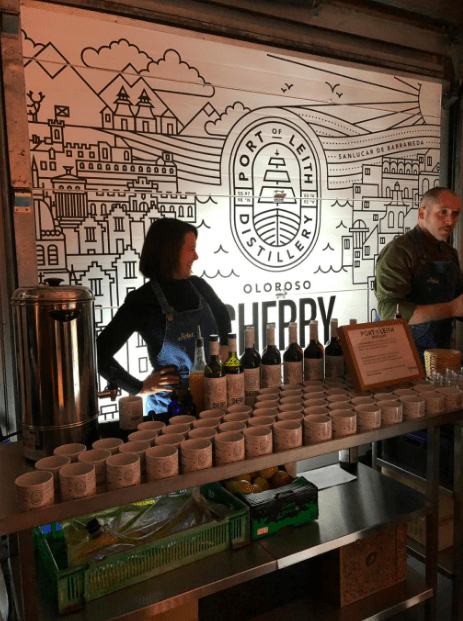 Port of Leith Distillery also launched a refreshing style of Oloroso sherry, with zingy citrus notes, dried fruit, and a beautiful array of nutty flavours. 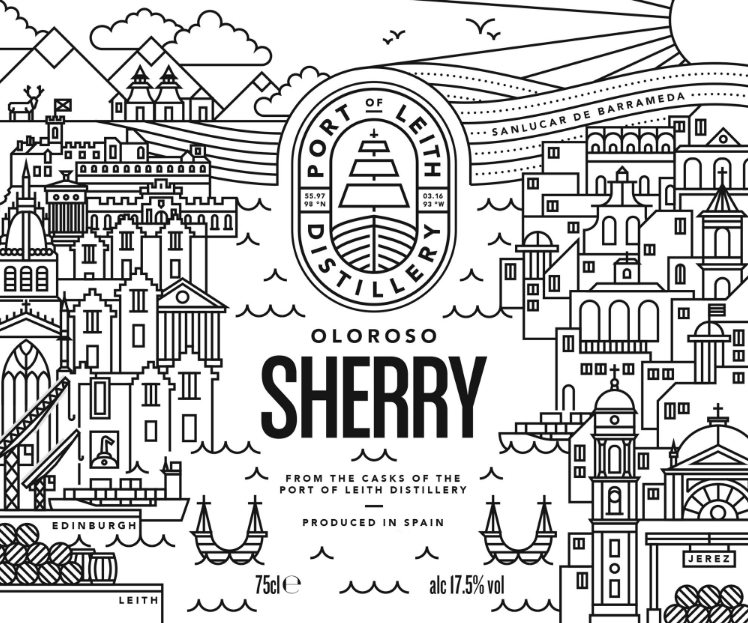 The sherry is similarly inspired by Leith’s maritime past, when whisky merchants based in The Shore area would use empty sherry casks to store their spirits. They soon discovered sherry casks transformed the flavour of their products and a major innovation in whisky production was born. 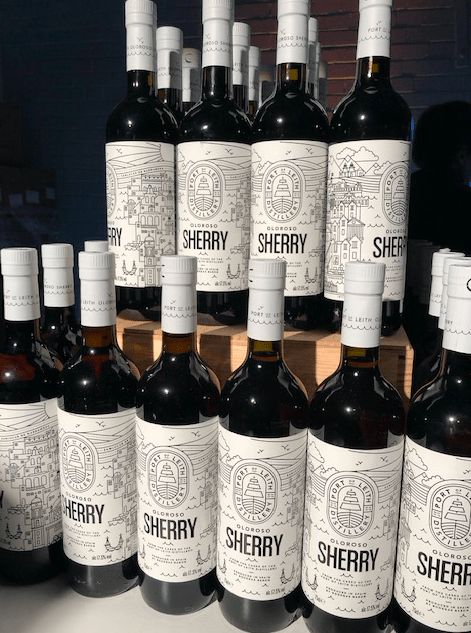 We had the opportunity to sample the sherry at the launch event and it did not disappoint. 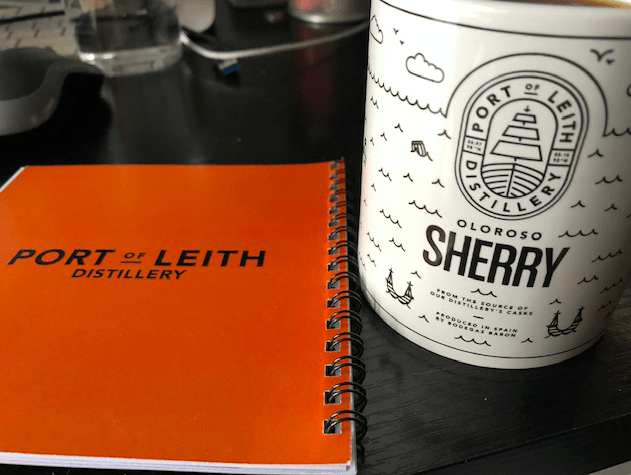 I can now also think back to the experience of the launch event when drinking my next coffee using the mugs given away on the day….whilst keeping an eye out for the two childhood friends and their dream of bringing whisky production to Leith….